The team at Coghill Investment Strategies is committed to an organizational priority of personalizing service and nurturing a culture of responsibility and responsiveness. Our associates are genuinely committed to the pursuit of individualized investment strategies for each of our valued clients. Our extended team includes the research and broker/dealer resources of Commonwealth Financial Network®, which expands the breadth and depth of what we offer our clients. Its team complements ours with trusted investment research specialists and advanced planning specialists who assist us in providing clients with the best possible service. Click on the photos below to learn more about our team members. 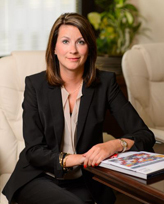 With a concentration in independent investment research and customized wealth management solutions, Carrie is continually recognized as one of the nation’s leading voices on financial advising. Carrie has built an advisor team to execute global macro investing for clients, a process that serves as the hallmark of Coghill Investment Strategies. This process involves filtering global industry, economic, and academic research into a propriety system designed to analyze the impact on capital markets in order to identify increasing risks and new opportunities. Through her personal focus on research and thought leadership around global macro investing, Carrie helps her team deliver highly personalized wealth management solutions. Coghill Investment Strategies provides a concierge-style service model that includes collaborative work with a clients’ tax and legal advisors to deliver intelligent, centralized management of their total financial universe. Prior to starting Coghill Investment Strategies, Carrie began her career in 1986 with Shearson Lehman Brothers and co-founded D.B. Root & Company, a family wealth management firm in Pittsburgh. She has been honored by Forbes Magazine, Barron’s Magazine, Registered Rep Magazine, Wealth Manager Magazine, and Pittsburgh Magazine as a top professional in her field, has authored two books, and is a regular contributor on CNBC, along with other local and national programs. Carrie serves on the Board of Trustees for Robert Morris University as Vice-chair and is the Chair of the Board for the Magee Women's Research Institute and Foundation. Additionally, Carrie brought the 2020 Women on Boards initiative to Pittsburgh in 2015, a national organization dedicated to increasing the percentage of female talent on Fortune 1000 corporate boards. Carrie Coghill is proud to have been recognized as a Chairman’s Level advisor for 2017—a distinction based on annual production attained by just over 3 percent of advisors affiliated with Commonwealth Financial Network. Michael is a CERTIFIED FINANCIAL PLANNERTM Professional with 18 years' experience in the financial services industry. 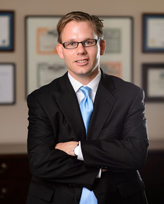 Prior to joining Coghill Investment Strategies, he spent six years at D.B. Root & Company as a financial advisor and nine years with Federated Investors. At Coghill Investment Strategies, Michael and Carrie have taken a unique team approach to providing holistic wealth management services, along with active portfolio management to individual investors. "In working together as a team, Carrie and I focus on building better lives for our clients and their families," Michael explains, "Proper planning is one piece of the equation. The other is to provide first-class investment strategies that can ultimately enable our clients to meet their goals." In addition to having earned the distinguished CERTIFIED FINANCIAL PLANNER™ certification, Michael possesses an Accredited Investment Fiduciary® designation, which furthers his commitment to implementing proper fiduciary practices, policies, and procedures. He also holds FINRA Series 7 and 66 securities registrations with Commonwealth Financial Network. Michael graduated from Robert Morris University with a finance degree and earned a Financial Planning Certificate from Duquesne University. For the past several years, Michael has been recognized as a *5-Star Wealth Manager by Pittsburgh Magazine (results compiled by Crescendo Business Service, a national independent research firm). He and his wife, Lori, are the proud parents of three children, Ethan, Nora, and Ronan. Although the financial planning profession requires long hours, when Michael does have downtime, his top priority is to spend time with his family. Michael’s other interests include running and an occasional round of golf. FIVE STAR: Based on 10 objective eligibility and evaluation criteria, including a minimum of 5 years as an active credentialed financial professional, favorable regulatory and complaint history, accepts new clients, client retention rates, client assets administered, education, and professional designations. 1,133 Pittsburgh wealth managers were considered for the award; 277 (24 percent of candidates) were named 2017 Five Star Wealth Managers. (The criteria provided reflect the most recent year for which advisor received the award. The criteria used, the number of wealth managers considered for the award, and the percentage of those who receive the award may vary from year to year). These awards are not indicative of the wealth managers' future performance. Your experiences may vary. For more information, please visit www.fivestarprofessional.com. 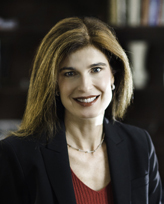 Shana’s client relationships focus on providing solutions for complex wealth management situations and implementing strategies designed to meet specific client objectives. She is responsible for implementing and monitoring investment strategies as well as advising on complex financial planning matters including deferred comp and stock options. Shana is a CERTIFIED FINANCIAL PLANNERTM and also holds FINRA Series 7 and 63 securities registrations through Commonwealth Financial Network®. After receiving a business communications degree from Carlow University, she spent over 10 years with Federated Investors. During her time at Federated, she was exposed to a diverse mix of the financial services industry. She served as a Product Marketing Team Leader which led to a promotion to a Senior Marketing Specialist and Marketing Manager. In this role, Shana gained a vast knowledge of investment management products and the capital markets. In 2010, Shana joined the CIS team where she has put her knowledge to work directly with investors. 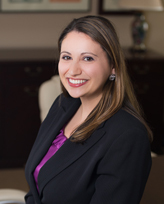 In addition to her role here at CIS, Shana is the president of the Financial Planning Association of Pittsburgh. She is active with Habitat for Humanity and recently traveled to Malawi, Africa to build homes. Shana enjoys traveling and working on her golf game. Kristen plays a vital role in conjunction with the firm's advisory team. She assists with the creation of financial plans, retirement projections, and reporting as well as interacting with clients and helping to meet their needs. Kristen's operational expertise is often a benefit to the firm as well. She has her FINRA Series 7, 24, and 63 securities registrations through Commonwealth Financial Network® and a BA in public relations. She is also a Financial Paraplanner Qualified ProfessionalTM. Prior to joining Coghill Investment Strategies, Kristen worked for the Bank of New York Mellon in its Wealth Management group. As a regional supervisor, she supervised the securities licenses of Registered Representatives all over the country and ensured they were compliant with all securities regulations. Before BNY Mellon, Kristen worked at the Pittsburgh-based firm, Allegheny Financial Group, where she managed the operations staff and worked with a team of more than 50 advisors. Kristen serves as the Pittsburgh event committee chair of 2020 Women on Boards, a national organization dedicated to increasing the percentage of female talent on Fortune 1000 corporate boards. She is active with the Women's Leadership Council of the United Way, His Place Community Center, and World Vision. Kristen lives in the north hills of Pittsburgh with her husband, Brad, and their young sons, Oliver and Ellis. Kelli provides operational support for the financial advisors at Coghill Investment Strategies. She interfaces with clients, ensuring every client experience is a positive one and is responsible the firm’s marketing, public relations, and communications strategies. She also manages all client requests for money movement in and out of the firm. Prior to joining Coghill Investment Strategies, Kelli worked at the Savvy Group, a Pittsburgh marketing agency, as an assistant account manager. In that role, Kelli partnered with clients on special events, project management, media relations, community outreach program development and execution, video production and design.